Not long ago I posted my favorite fishtail, favorite knotted and buns and favorite Fall hair tutorials, a lot of tutorials are.. well.. somewhat advanced or sometimes we just need that long length full hair that we don't have. 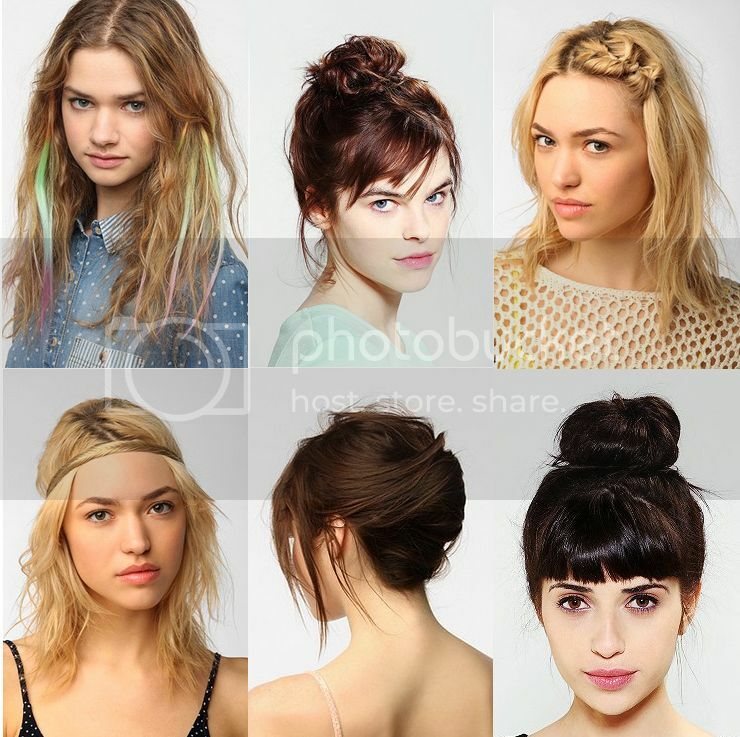 I was looking at Urban Outfitters beauty/Hair products when my eye fell on all the hair accessories, clips, pins, hooks, ombre extensions, rainbow extension, a fishtail hair tool, a polly hair piece to make that perfect bun, chalk and little twisters. I love how a ponytail extension was used to braid a fishtail and the bun piece was used to make a low tucked bun, the ombre extension is quite clever as are the rainbow clips! These hair gadgets perfect for new do's!